» How can brand pages deal with Facebook’s algorithm changes? How can brand pages deal with Facebook’s algorithm changes? Social Media Professionals have this love hate relationship with Facebook. We love it when they introduce a new feature which helps us reach or engage more audience, but we hate the lack of control when they change the algorithm. Since January 2014, a lot of us have been worried about the impact of these changes on our brand pages. And this month, they announced yet another update to keep the newsfeed clutter free. Facebook said, “The improvement we are making today better detects these stories and helps ensure that they are not shown more prominently in News Feed than more relevant stories from friends and other Pages.” Simply put, these are the three types of categories that need to be avoided by brand pages. 1. Like-baiting: A post that asks users to like, share or comment on content in the news-feed with the intention of getting more exposure is called as ‘like-baiting’. Facebook’s survey says ‘like-baiting stories are, on average, 15% less relevant than other stories with a comparable number of likes, comments and shares.” Facebook will detect the like-baiting activities and penalize your pages by reducing the reach. Example: Typically these are posts which ask users to like in return for say a prize, an award, charity or sometimes for just plain superstitious reasons. 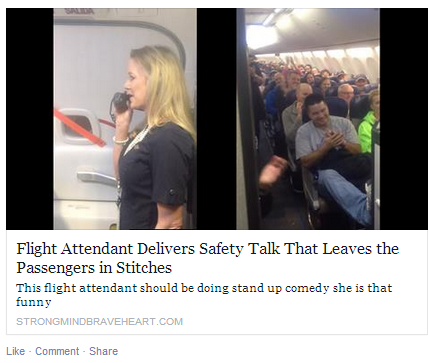 Example: The viral video that everyone shared won’t show up twice in the news feed. Example: The videos that are circulated with celebrity names but on clicking direct users to some other website. Facebook said that this change would not impact the majority of the content publishers. So there is no need to get dramatic! Unless, of course, you have been posting spammy content! There are few low stress steps to ensure your posts have the reach you want. Produce interesting content: Asking people to ‘like’ won’t cut it anymore. Just like Google, Facebook also demands good quality and less spammy content. It is time to get your creative geniuses to work and come up with a framework for the brand. Storytelling is one of the best ways to succeed in marketing! Tweak the content: Pages frequently re-share great content but users tend to find these instances of repeated content less relevant and might even hide such stories. The workaround for this is, tweak your post a bit by adding an interesting description or photo. Say, if you want to post a frequently shared video, embed it on your blog post with your thoughts and share that link with an interesting copy. Share trustworthy content: Never user inaccurate language to trick people into clicking your website or frequently shared ads and content. Make sure your post is relevant to the landing page. You might want to use Facebook ads or promote the post to reach wider audience. Just focus on these basic tips when creating your page post and you’ll see the difference. Infact, Facebook has claimed that pages that are seeing good engagement on their posts could see further increases in reach.